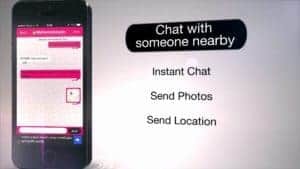 Have you heard about Thaijoop dating app? You’re probably looking for a Thaijoop dating app review, to help you figure out if it’s okay to download and install the app. Well, you’re in luck because the information below will provide you some of the reviews that you need to know about. Dating apps are becoming more and more popular since the majority of the people today are using smartphones. These dating apps are just like online dating websites, but the difference is the app needs to be downloaded and installed, so you can start signing up and browsing through the different profiles. If you are lucky enough, you might end up meeting the love of your life in this app. ThaiJoop is one of the fastest growing application today. The fact there are over a million of users on this dating app platform. There are also thousands of people signing up to be part of Thaijoop every single day. Whether you are a foreigner or a Thai, you will surely be able to meet someone here. In short, Thaijoop is the best place where you can find your perfect match. The reason behind this is because they always make sure that they will be connecting you to nothing but the best people that is perfect for you. Signing up for ThaiJoop dating app is easy. You can easily connect to Google+ or Facebook, so you no longer need to fill up information. But if you want your Thaijoop account to be separated from your other social media accounts, then just fill out the form at ThaiJoop, and you’re good to go. These are just some of the information that you need to know about Thaijoop. This review will surely help you decide whether this is a great dating app that will cater to your needs. Start downloading the app and installing it on your smartphone. You will surely be able to meet women from all over Thailand.